Truck Tracks | Right Track Systems Int. Call Today! 1-855-481-9473 | Interested? Get a Quote Now! Welcome to Right Track Systems, home of the best rebuildable rubber tracks for trucks, trailers and off-road vehicles. Whether you’re working in mud, sand, snow or any other extreme ground conditions Right Track has the solution for you! Rubber truck tracks, ATV, skid steer, track for tractors and custom trailer track, we do it all. Right Track Has the Solution for You! Introducing the Right Track ORC60 line of track products. This heavy duty construction line is built to handle heavy loads in soft and hard ground conditions. 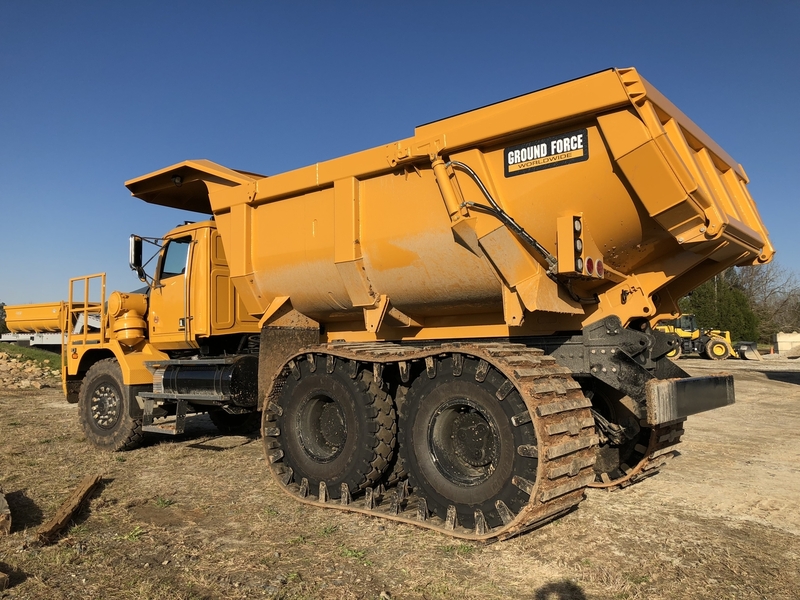 For a quote or more information on tracks for your equipment please fill out the contact form below or give us a call toll free at: 1-855-481-9473. Right Tracks on my New Holland LS170 skid steer are absolutely fantastic! In mud and sand, no other product compares. With Right Tracks installed on my CASE 70xt, it goes into areas I would never of imagined. In the winter I can remove snow like never before; in the summer the amount of mud Right Tracks can go through is absolutely amazing. The tracks have allowed me to work in loose sand, gravel, bushy and swampy areas. After 8 years of use this set of tracks has performed trouble free. The tracks that Right Track Systems installed have made this skid steer a great performer! Thanks loads! You’d be amazed at where Right Tracks can take a tandem axle truck! The Right Tracks with ice cleats I purchased for my CAT 236B allow me to remove snow in places where tires or chains would just spin. The durability of the tracks is also second to none; I have had the tracks now for over 6 years and have only had to replace the connector pins. Copyright © 2019 Right Track Systems Int. All Rights Reserved.